in your signature for Thunderbird. 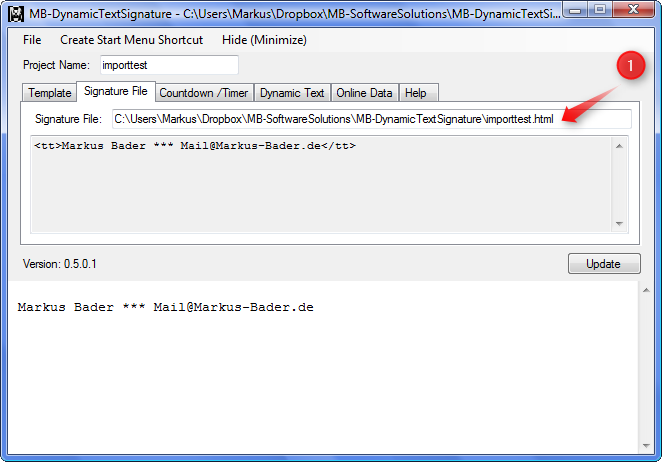 After starting MB-DynamicTextSignature for Thunderbird, all field are blank. 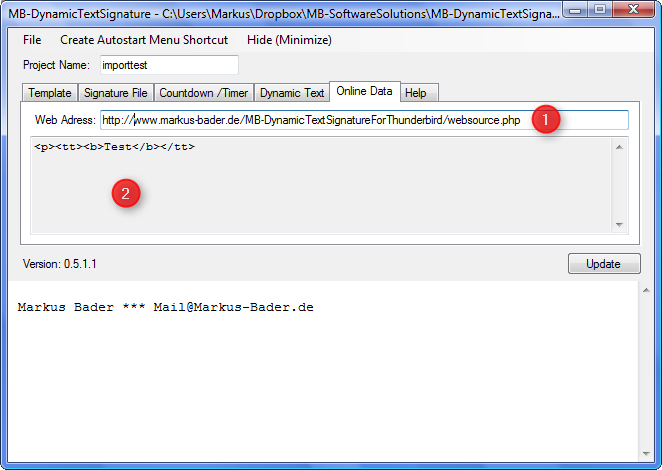 The easiest way to configure MB-DynamicTextSignature for Thunderbird is to import an existing HTML signature file. ... and select your existing HTML signature file. 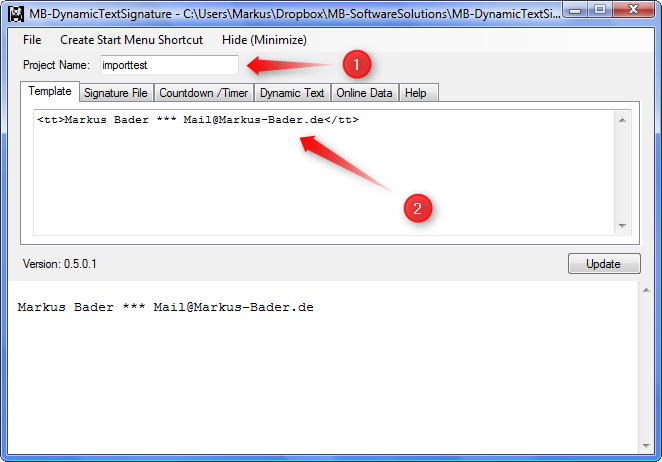 ... and the imported file is defined as the exporting file name in the signature file tab sheet (1). A project file with the same name as the imported file and the extension MB-DynSig in the same directory as the imported file. 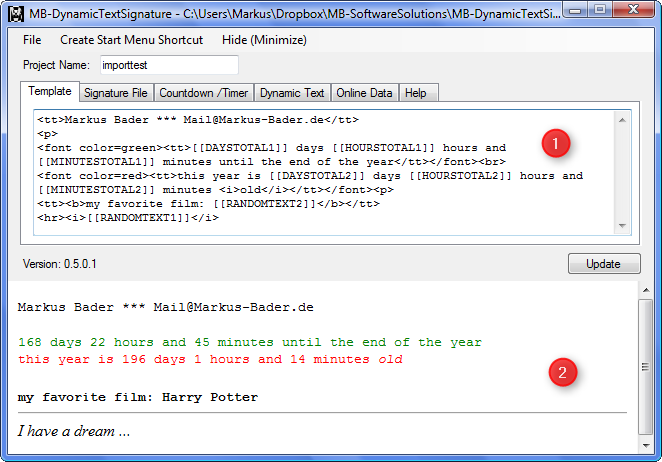 MB-DynamicTextSignature for Thunderbird offers up to three timers or count downs. 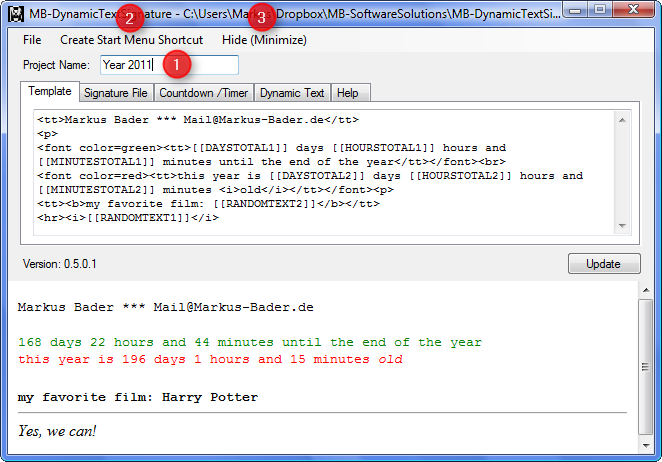 Switch to the Countdown/Timer tab. 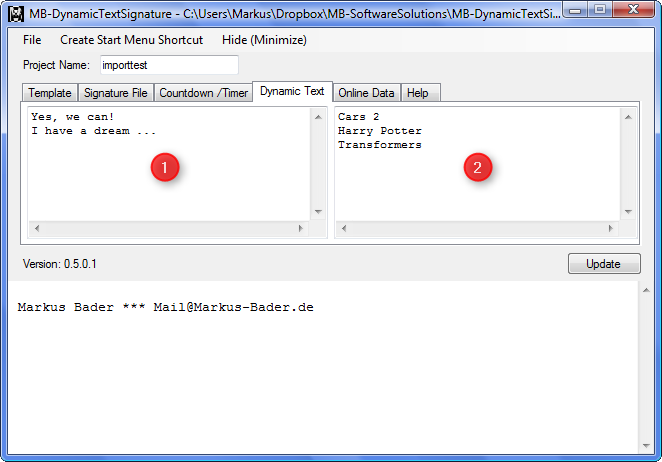 MB-DynamicTextSignature for Thunderbird offers up to two dynamic text blocks. Switch to the Dynamic Text tab. 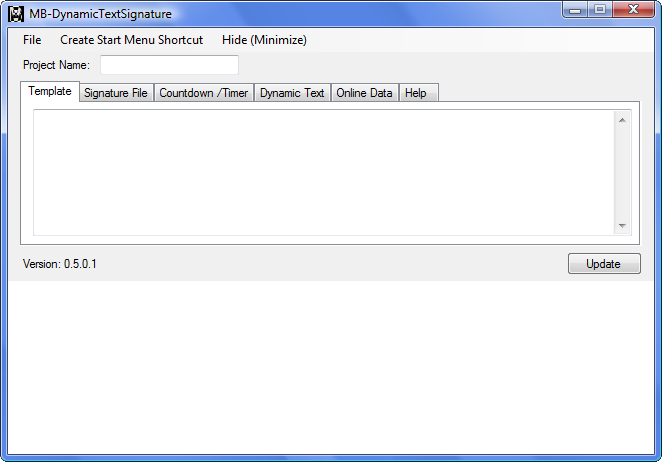 Fill in the text block (1) and (2) with dynamic text. 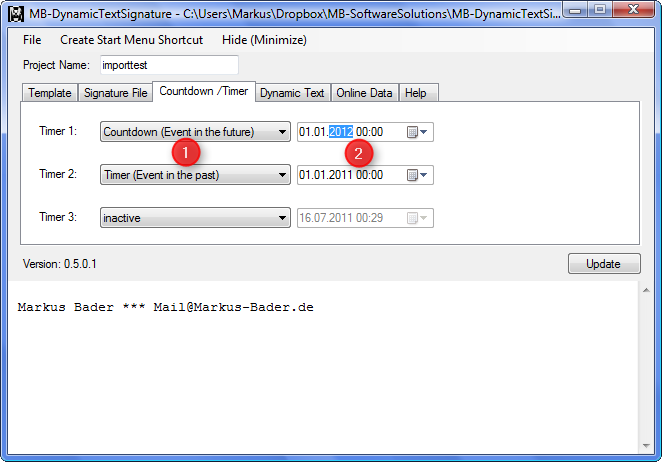 MB-DynamicTextSignature will choose always a complete line for the random dynamic text, so line breaks are not allowd. HTML tags are allowed. 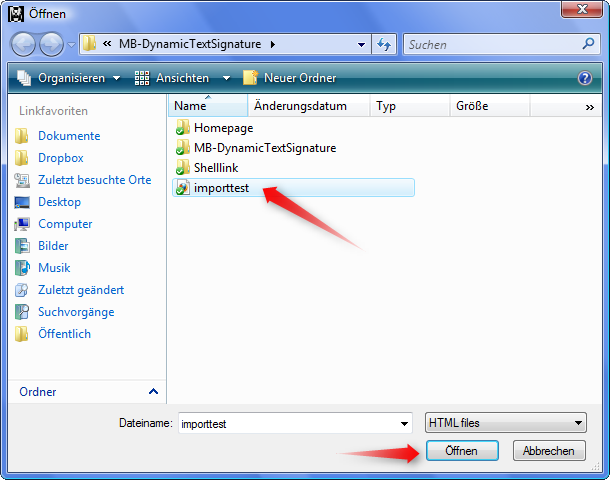 MB-DynamicTextSignature for Thunderbird offers the possibility to import HTML code from a web source. Switch to the Online Data tab. Insert the web adress with the data in (1). (2) will show the HTML imported. 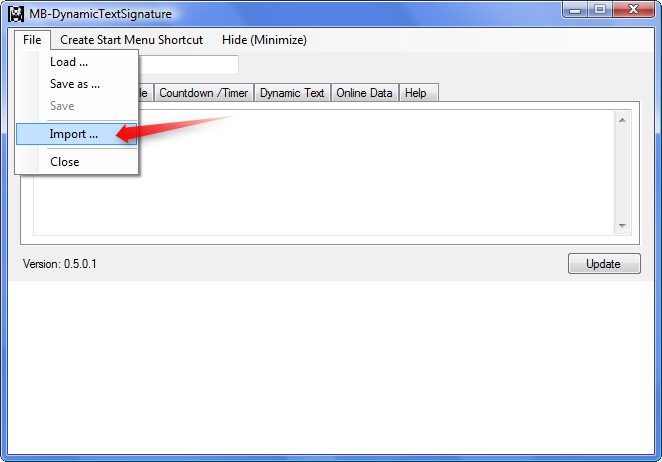 Switch to the Template tab and modify the source code of your signature in (1). The content of (2) is changed always you modify (1). OK, that's it - almost. and minimize the application the system area near the system clock.